Over 80% of U.S. divorce attorneys say they’ve seen a rise in the number of cases using social networking. Of the fifteen cases Gary Traystman, a divorce attorney in New London, Connecticut, handles per year where computer history, texts, and emails are admitted as evidence, 60% involve Facebook exclusively. “Affairs happen with a lightning speed on Facebook,” says K. Jason Krafsky, who authored the book Facebook and Your Marriage with his wife Kelli. In the real world, he says, office romances and out-of-town trysts can take months or even years to develop. “On Facebook,” he says, “they happen in just a few clicks.” The social network is different from most social networks or dating sites in that it both re-connects old flames and allows people to “friend” someone they may only met once in passing. “It puts temptation in the path of people who would never in a million years risk having an affair,” he says. Jesus knew how readily people can fall to temptation when it is placed even peripherally in their path. This is why He warns His disciples, “Watch and pray so that you will not fall into temptation. The spirit is willing, but the body is weak” (Mark 14:38). Jesus’ caution against temptation and His diagnosis of the flesh’s relative spiritual strength, or rather, its lack thereof, ought to be taken seriously. When a marriage is in disarray, Facebook can provide an all too easily accessible foray into the arena of temptation. Its appeal lies at two opposing poles. On the one side, Facebook provides a public forum for a scorned spouse to spout off about how he or she has been wronged and receive eager and many times blind support from friends who are, at best, only partially informed about the situation. On the other side, though Facebook is public, it deceptively feels private. After all, it’s only “friends” who can see what you are posting – that is, until a divorce attorney subpoenas records from your Facebook account and presents them in court as incriminating evidence. Both the public and private faculties of Facebook make its appeal to those in rocky relationships almost irresistible. But when Facebook is used to arbitrate an unsettled union, it inevitably leads to ruin. For it allows couples to steep themselves in the sometimes rotten advice from friends or the sometimes illicit advances of lovers while avoiding conversation with the person they need to be talking with the most – the other spouse. 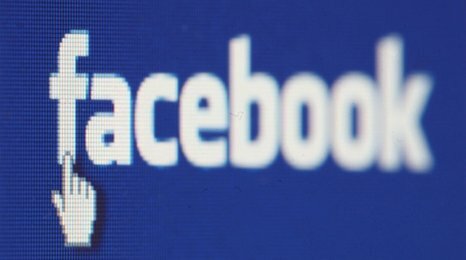 So, how can a couple use Facebook to connect with friends – old and new alike – while steering clear of its more seedy enticements? A few practical, common sense safeguards can go a long way to protecting your integrity – and your marriage. First, make sure your spouse has access to your Facebook account. There is no reason why your spouse should not know what you’re posting online. If you’re trying to surprise him or her using a little help from your Facebook friends, find another way. Sustained trust trumps an occasional need for the secrecy of a surprise. Second, if your marriage is troubled, personal details are not Facebook appropriate. You don’t need uneven advice from partial pals, you need professional guidance from a licensed therapist. Facebook is a great place to post thought-provoking quotes, interesting articles, and even pictures of your Memorial Day backyard barbeque or your newborn bouncing baby boy. It is not an appropriate place, however, to air your, or someone else’s, dirty laundry. Falstaff, though he was a shameful coward in Shakespeare’s Henry the Fourth, proved to be wise beyond his actions when he said, “The better part of valor is discretion, in the which better part I have sav’d my life.” Discretion on Facebook may just save your marriage. Third, be discerning. Believe it or not, regardless of a person’s Facebook classification as your “friend,” not everyone you communicate with on social networking sites has your best interest at heart. And not everyone who proffers advice via the internet knows what he or she talking about, or, as the case may be, “posting” about. This means that you should not set yourself up to get bad advice from your Facebook friends by posting sordid details of your life gone awry, nor should you insert yourself via public posts into someone else’s messy Facebook spectacle. If you’re truly concerned about someone, a face-to-face conversation, or, if that is impossible, a private conversation by some other means, works much better than a public posting. Finally, a sober estimation of your own sinful desires and weaknesses may be the best safeguard against the wily relational entrapments that internet social networking can bring. No matter how strong you may think your marriage is, all it takes is one click or keystroke to lead it down the road to ruin. And so we pray, “Lead us not into temptation” (Matthew 6:13). Quentin Fottrell, “Does Facebook Wreck Marriages?” The Wall Street Journal (5.21.12). William Shakespeare, Henry the Fourth (Part 1, Act 5, Scene 4). Entry filed under: Current Trends. Tags: Affair, Christianity, Facebook, Fidelity, Marriage, Quentin Fottrell, Religion, Shakespeare, Spirituality, Temptation, Wall Street Journal. Concordia’s New Series: tHE aBNORMAL lIFE	Why Didn’t God Do A Better Job?